Rock climbing gyms, unlike your typical boxes full of free weights and cardio machines, offer more than just physical challenges. Folded into each climbing route are multiple “problems” that need to be solved. Imagine this: while gripping onto a hard-plastic hold, your mind is racing to figure out where should your leg be placed next to give you the right push to climb forward. 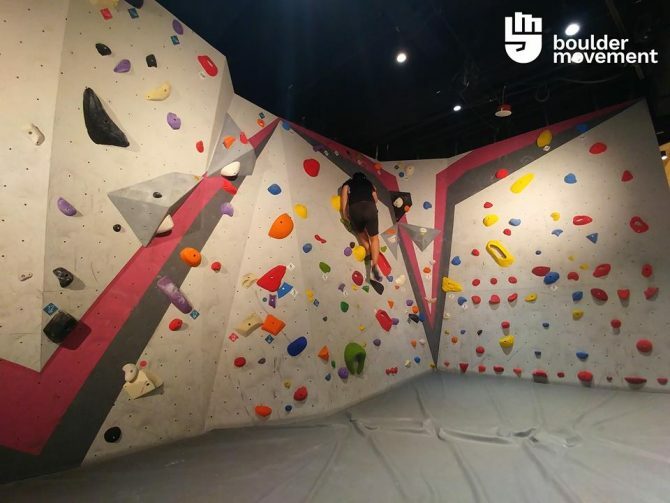 Here are some of the best rock climbing gyms in Singapore for you to get your heart pumping! Conveniently located in the CBD area, Boulder Movement makes it easy for you to experience the vertical realm towards creating a leaner, stronger version of you. Focusing on bouldering (as the name suggests), the climbs are shorter as they are no ropes or harnesses attached to you. Don’t freak out yet! They have a huge mattress to catch you should you fall. Go for their free introduction session upon purchase of entry to check out what they have to offer. Apart from climbing walls, they have hybrid classes that combine HIIT and climbing to put a twist on your all-too-familiar workout routines.